This highly fun experience will teach you and a friend all the skills you need to take on zombies and ensure your own survival. 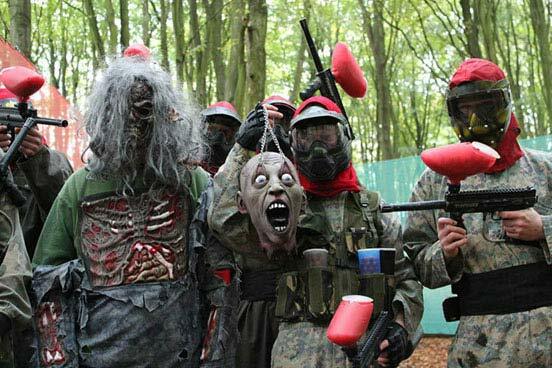 Kitted out and tooled up with rifles, crossbows and axes to help you take out your flesh eating fearsome targets, this weaponry training will allow you both to stay one step ahead of fearsome zombies at all times. Your session will begin with a short risk assessment and health and safety briefing, before you are both taught the best techniques to help you survive an infected world of zombies. 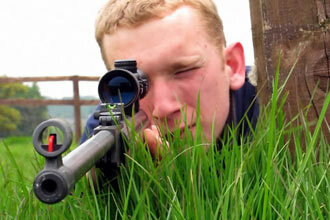 Your instructor will train you on each weapon and how best to hit your target. Armed with bows, blades and bullets this weapons focused training experience is sure to turn you into a world class zombie assassin in no time at all.